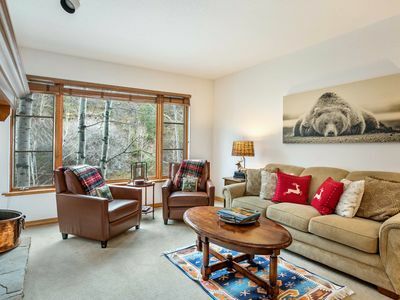 Nestled against the Eagle River, this beautifully updated Brookside Park townhome offers luxury and convenience all in one. 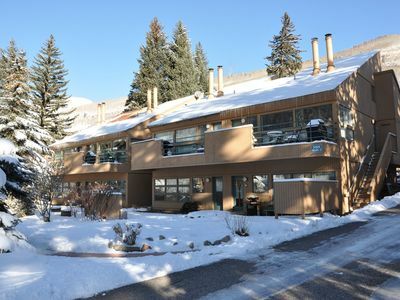 The Brookside Park complex is located just a short walk from the western entrance to Beaver Creek. 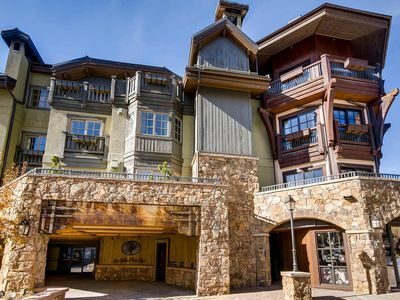 Walk across the street to the Bear Lot and access the easy, complimentary shuttle service to Beaver Creek Village and all it has to offer. 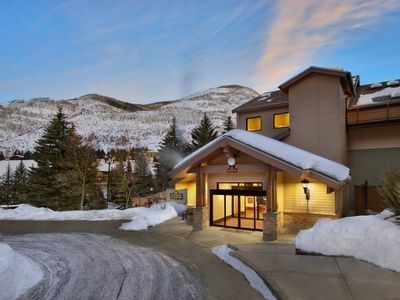 Vacationing is easy at Brookside Park, it provides a fitness center, year round hot tub and seasonal heated pool, which provides fun for everyone! 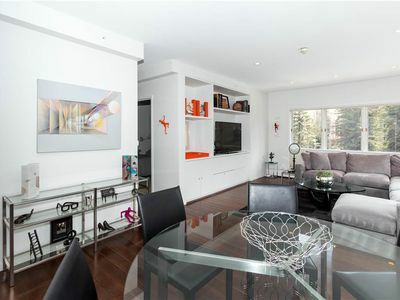 As you enter the home, you’ll immediately feel surrounded by luxury with the updated fixtures and furnishings. 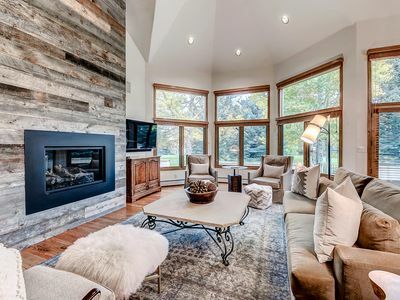 The main level features an open layout, combining the kitchen, dining and living room with 2 private decks on each side of the home plus a cozy den that closes with french doors for privacy. 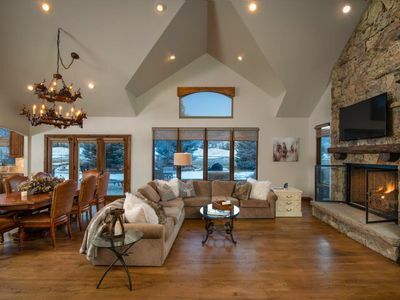 The living room is comfortably furnished with plenty of seating to relax in front of the flat screen TV or gather with friends and family around the gas fireplace. 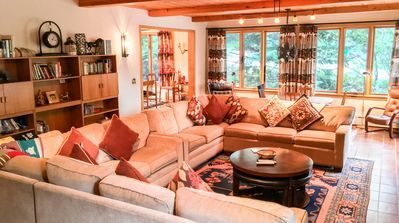 Just behind the sofa is access to a private deck with seating for 4 and overlooks the beautiful Eagle River and walking path. 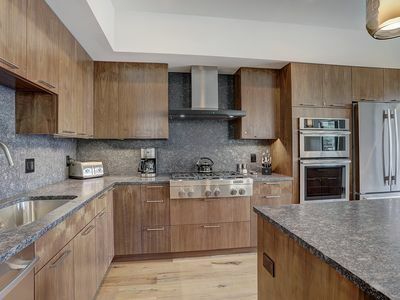 Feel at home while you create meals in the spacious, fully equipped kitchen, with 4 burner Wolf gas stove and beautiful white granite throughout. 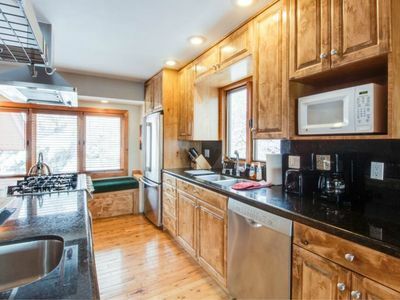 The kitchen features a small breakfast bar, with seating for 4 plus additional bar seating for 2 in front of the sink to keep the chef company. 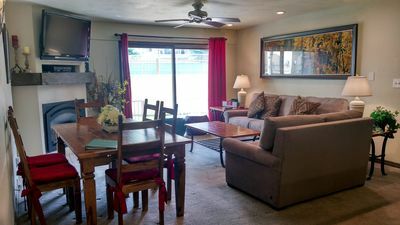 Located off the kitchen is the garage entrance, stackable washer and dryer plus access to a deck with gas grill and table seating for 2. The dining area is beautifully decorated with a large round table and seats 8 guests. 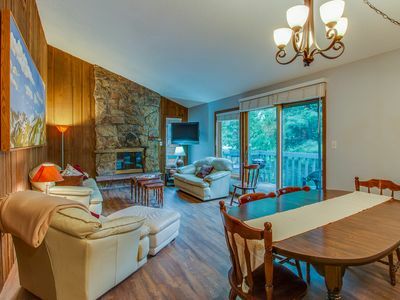 Directly across from the dining area is a den with mounted TV, small writing desk and a queen Murphy bed for additional sleeping. 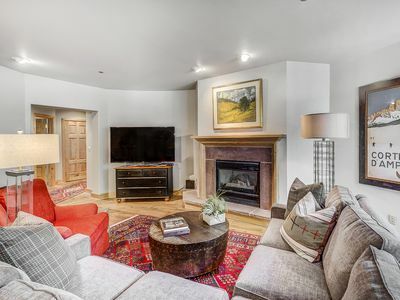 The full guest bath with walk in shower can be accessed privately from the den or from the main living area. 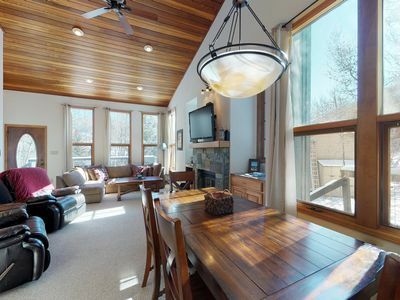 Venture upstairs to find the master, bedrooms 2 and 3. 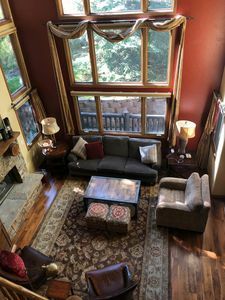 The master is located at the end of the hallway, features a queen bed, vaulted ceilings, private deck overlooking the Eagle River and spacious en suite bathroom. The master en suite provides the perfect place to relax with a deep soaking tub, walk in shower and double vanity. 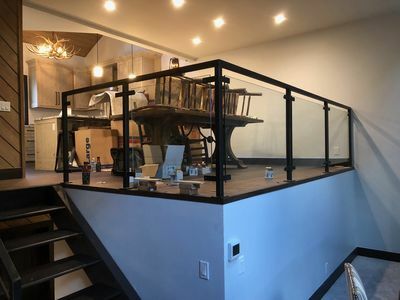 Bedroom 2 is located next to the master and is furnished with a queen bed, while bedroom 3 is the first room you’ll see at the top of the stairs and is equipped with beautiful built in twin over twin bunk beds. The bunk beds feature stairs in lieu of a ladder to get to both top bunks and each bunk is equipped with a private reading light. Bedroom 2 and 3 each have en suite bathrooms with double vanities and walk in showers and all three rooms are furnished with flat screen TV’s for your entertainment. 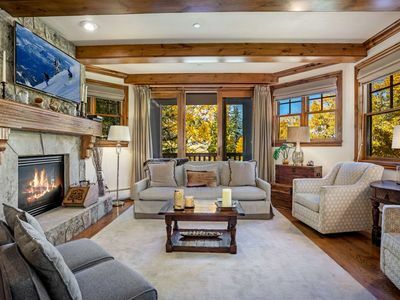 This luxury townhome sleeps 10 guests comfortably in 7 beds. 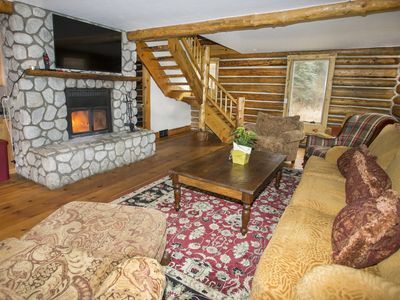 Most mountain residences, including this property, do not have air conditioning. 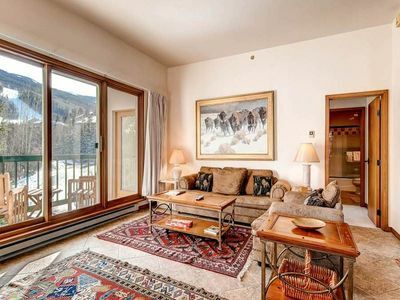 Cozy condo w/ wooded surroundings, shared pool, & mountain/valley views! 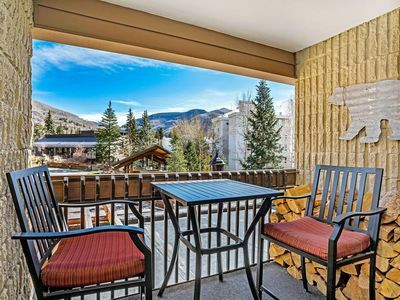 Enjoy mountain views from the private balcony of this bright and beautiful condo.